The Measurement Networking Group (MNG) 2019 Election will fill two positions opening on the MNG Executive Committee for the Awards Officer and Early Career Officer. Members of the Measurement Networking Group will receive an election survey via email on 15 March. If you believe you are a member-in-good-standing and did not receive the election survey or need assistance with the election process, please contact Cindy Robinson. For the position of Awards Officer, the candidates are Allen Heinemann, PhD, ABPP, FACRM and Alex Wong, PhD. 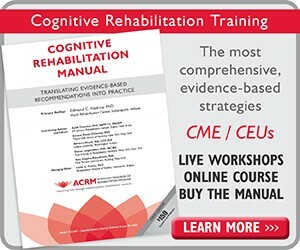 Allen W. Heinemann is a Professor in the Department of Physical Medicine and Rehabilitation at Northwestern University’s Feinberg School of Medicine and Director of the Center for Rehabilitation Outcomes Research at the Shirley Ryan AbilityLab (formerly the Rehabilitation Institute of Chicago). He completed a doctoral degree in psychology at the University of Kansas, is a diplomate in Rehabilitation Psychology, and a fellow of the American Congress of Rehabilitation Medicine and the American Psychological Association. He became an ACRM member in 1987 and is a past-president and fellow of the American Congress of Physical Medicine and Rehabilitation and the Rehabilitation Psychology division of the American Psychological Association. Dr. Heinemann serves as co-Editor-in-Chief for the Archives of Physical Medicine and Rehabilitation. He is the author of more than 300 articles and is the project director of a Rehabilitation Research and Training Center and two Advanced Rehabilitation Research Training Awards from the National Institute on Disability, Independent Living, and Rehabilitation Research; PI on two Department of Defense awards, and co-PI on an R01 from NIDCD. He received the Distinguished Career Award from the Rehabilitation Psychology division of APA. As the founding chair of the Measurement Networking Group, he relishes the opportunity to remain engaged in MNG by supporting excellence in research by serving as the Awards Officer, and helping fulfill the mission and vision of MNG. I would be very pleased and honored to serve as Awards Officer of the ACRM Measurement Network Group Executive Committee. As a health services researcher, occupational therapist, and rehabilitation counselor, the Measurement Networking Group mission represents the centrality of my rehabilitation career endeavors. I joined ACRM in 2012 as a postdoctoral fellow, and the Measurement Networking Group Task Forces were what drew me to the ACRM community. In 2013, I joined the ACRM Membership Committee to represent the Measurement Networking Group to communicate with other special interest groups to support member recruitment and maintenance programs. Involvement in these groups has given me unprecedented opportunities to learn and expand my passion with other people sharing the same commitment to improving the lives of people with disabilities. My training and experience have well prepared me to serve in the role of the Measurement Networking Group Awards Officer. I currently serve as an Assistant Professor of Occupational Therapy and Neurology at Washington University. 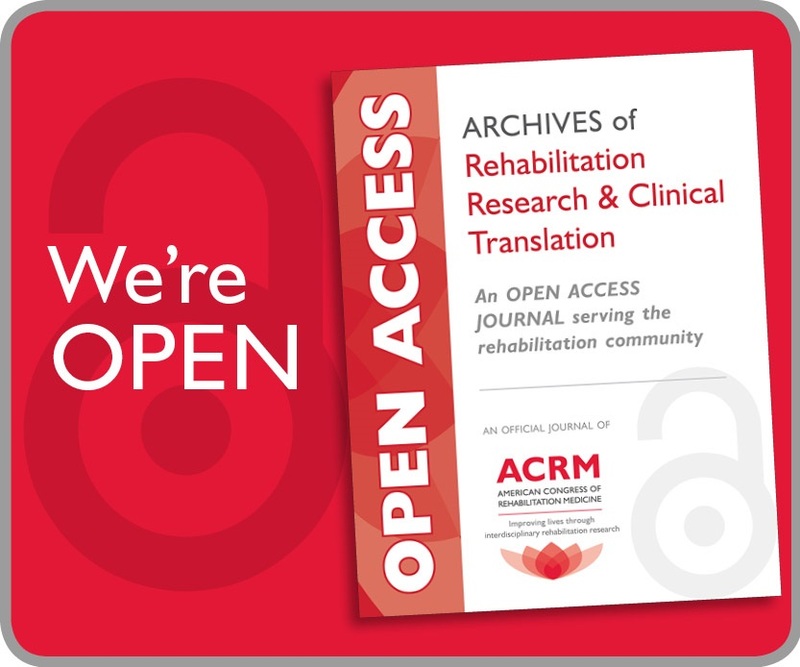 I have published over 50 manuscripts on rehabilitation outcomes for people with disabilities and have led or collaborated on 10 competitive research grants from the NIH, NIDILRR, Craig H. Neilsen Foundation, and Siteman Cancer Center. I have worked actively with international collaborators in the Asia-Pacific region. In addition, I have been fortunate to be selected as a recipient of the Deborah L. Wilkerson Early Career Award supported by CARF International. The skills that I have gained through these experiences will help me engage different disciplines to work toward common goals as the Awards Officer. I believe that we are entering a time of tremendous opportunity for rehabilitation research, education, advocacy, and policy change. The Measurement Networking Group represents the current and future leaders of these efforts, and I am eager to join the Executive Committee as its Awards Officer. I am honored to be nominated for the Early Career Officer position of the ACRM Measurement Networking Group (M-NG). 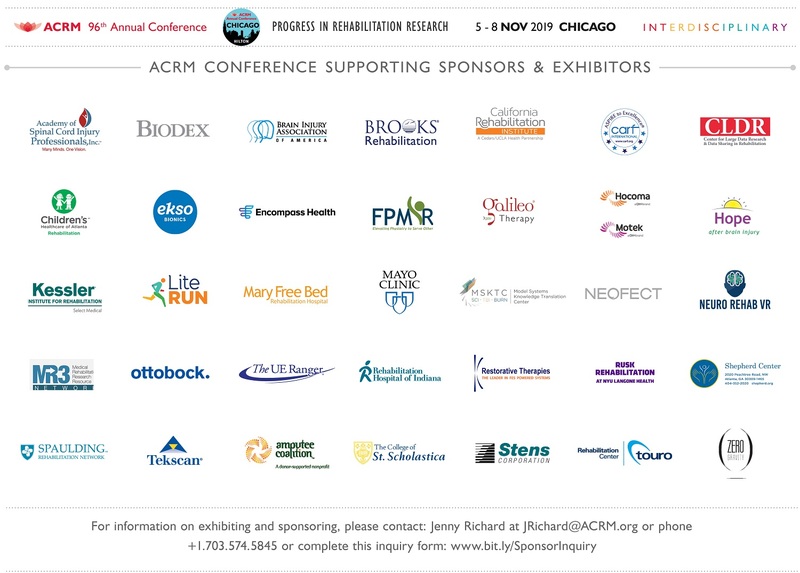 I attended my first ACRM in 2013 as a doctoral student and have been a member of the M-NG ever since. I received my PhD in 2015, then joined the Early Career Networking Group (ECNG) in 2016 as a postdoctoral fellow and became a member of ECNG the same year. My unique experience of being currently involved in both M-NG and ECNG prepares me well to serve as the Early Career Officer of M-NG. If elected, I will serve as liaison between the M-NG and ECNG. I will provide M-NG a regular report of early career members’ needs and concerns. I will advocate for the voices and values of early career professionals to enhance ACRM and M-NG recruitment and retention of early career members and professionals. My training and experience as a clinician, researcher, educator and leader have equipped me well to serve in the role of Early Career Officer for the M-NG. I have published 25 peer-reviewed manuscripts, received a Pepper Center pilot grant award, served on multiple executive committees and collaborated with interdisciplinary researchers nationally and internationally. My leadership, management and interpersonal skills demonstrate valuable qualifications that I can bring to this position. I believe all benefit when senior and junior researchers and clinicians work together and learn from each other to enhance research, practice, education, advocacy and policy change in rehabilitation research and practice. M-NG is the platform that can make this collaborative vision across networking groups happen. I am eager to serve as the Early Career Office at M-NG to contribute my skills and expertise to such vision at M-NG. Early career rehabilitation professionals face unique challenges, including navigating an often circuitous and uncertain career path. Successfully navigating that path requires support, mentorship, and opportunities to work with and learn from leaders in the field. The MNG affords these opportunities to early career clinicians and researchers, including myself, and I would be honored to be given the opportunity to help other early career professionals benefit through participation in the MNG. I joined ACRM in 2011 as a doctoral student, but it was not until 2016, on the cusp of starting my first faculty position, that I connected with the MNG. Involvement in the MNG provided me with opportunities to collaborate with international colleagues, contribute to the improvement of professional education in rehabilitation, and learn from true leaders in the field. As a current chair of the Long Term and Community Assessment task force and co-chair of the Curriculum task force in the MNG, I have had the pleasure of working with the members of the Executive Committee and leading projects to support and promote the mission of the MNG. Given the opportunity to be the MNG Early Career Officer, I would bring the same focus, tenacity, and dedication to collaboration that has driven my work with the MNG to date. Measurement is a primary component of my current research. I’ve published over 40 peer-reviewed manuscripts, led or collaborated on 13 locally and federally funded research grants, and presented nationally or internationally every year since joining ACRM. The unique path I have taken has allowed me to collect a wealth and diversity of experiences that I would bring to the MNG Executive Committee, and I would feel privileged to represent and advocate for all my fellow (and future) early career professionals if elected as your Early Career Officer. I would be honored to serve as Early Career Officer of the ACRM Measurement Networking Group Executive Committee. As a clinician, the Measurement Networking Group interdisciplinary mission represents what I love most about the field of functional outcome measures and rehabilitation. 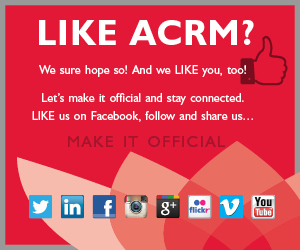 When I joined ACRM last year, its mission and vision inspired me to serve ACRM and its community. I have been a physical therapist for 11 years and practicing in the state of Nevada for past 5 years. I am currently working full-time as a physical therapist at Encompass Health Rehabilitation Hospital of Las Vegas. My post-professional specialty certifications include Geriatric Certified Specialist (GCS) from American board of Physical Therapy Specialties, Certified Stroke Rehabilitation Specialist (CSRS) from National Stroke Association, and Certified Exercise Expert for Aging Adults (CEEAA) from Academy of Geriatric Physical Therapy. I am also a neuro-development treatment (NDT) trained therapist. These certifications helped me to get the in-depth knowledge and provide the highest standard of care to the neurological conditions. I have been an active member of professional associations who working in the field of neurological rehabilitation and health promotion. I also believe that one should not keep the knowledge to oneself, but to help others to move forward as well and to give the best of the knowledge I have, so I also serve as clinical instructor for several physical therapy programs in the state of Nevada along with the subject matter expert on gait & ambulation technology innovation committee for Encompass Health Corporation. Recently, I was appointed by Federation of State Boards of Physical Therapy (FSBPT) as an item writer for National Physical Therapy Examination (NPTE). My international volunteer experiences include arranging Polio vaccination programs, yoga camps for school children and pro-bono physical therapy services for special schools. I am a regular attendee of various physical therapy conferences at state, national, and international levels. I specialize in the treatment of neurological condition such as stroke, and post traumatic spinal cord injuries. The Measurement Networking Group represents the current and future leaders of efforts done in the field of measurement in rehabilitation, and I am eager to join the Executive Committee as its Early Career Officer.